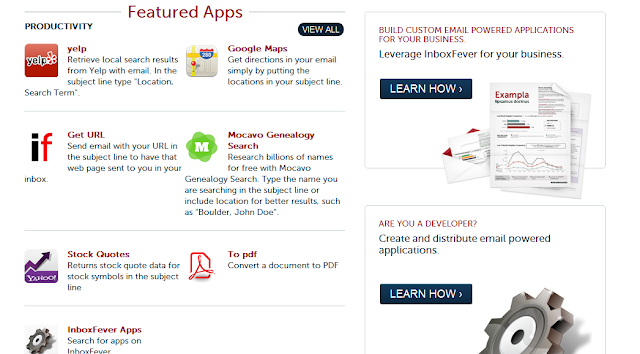 InboxFever is a simple idea that can be very useful and powerful. Email is everywhere! It does not matter if you are on a desktop with Windows or Mac, using IE, Chrome, or Firefox, or enjoy being mobile with iOS, Android, or Symbian; you will always have email. 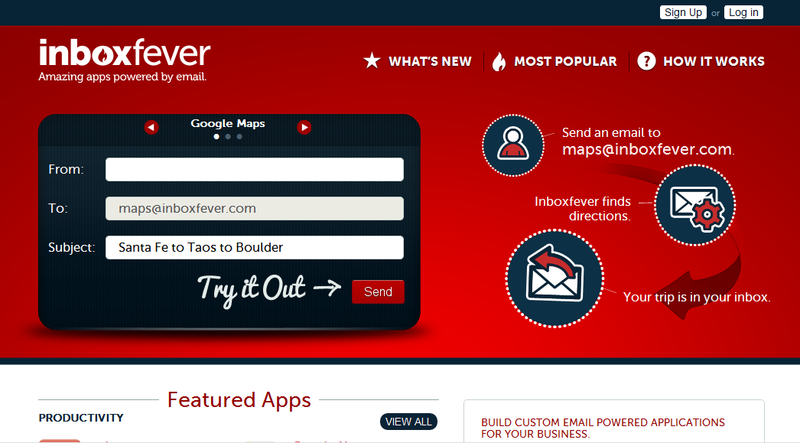 With InboxFever you can tap in to many resources just by using your email. It is the same principle as Google Talk Guru, but with much more usefulness. It could also be used as a safe way to gain information when you are behind a firewall or VPN at work. Below are the email apps available today. 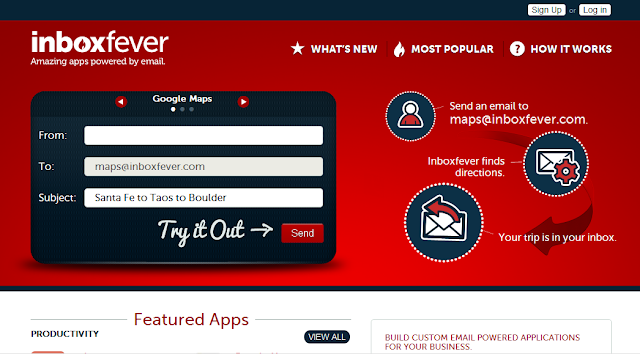 Google Maps - maps@inboxfever.com - Get directions and maps in your email by putting the locations in your subject line. Use "Boston to Palo Alto" to get directions or just "Boston" to receive a map. Get URL - geturl@inboxfever.com - Receive copy of the URL you indicate in the subject line with images, links, etc. Mocavo Genealogy Search - search@mocavo.com - Search billions of names for free with Mocavo Genealogy Search. Type the name you are searching or include location for better results, like "Boston, Samuel Adams". InboxFever Apps - apps@inboxfever.com - Search for apps on InboxFever. "All" emails you a full list, or you can search by specific term. You can sign-up for an account for better statistics and control, but I tried using the service from another email account just by emailing the indicated addresses and it worked. They are working on more apps as well as an API which will allow developers to tap in to the service. I look forward to seeing what else can be done with some news apps. You can follow InboxFever on Twitter and Facebook.